HITS Championship week is known across the country as the Richest Week in US Show Jumping. 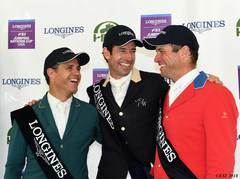 From the Diamond Mills $500,000 Hunter Prix Final to the Saugerties $500,000 Grand Prix, the week offers nearly $2 million in prize money. The Black Barn $250,000 Jr/A-O/Am Jumper Prix Final is one of the four main events that take place during this week. 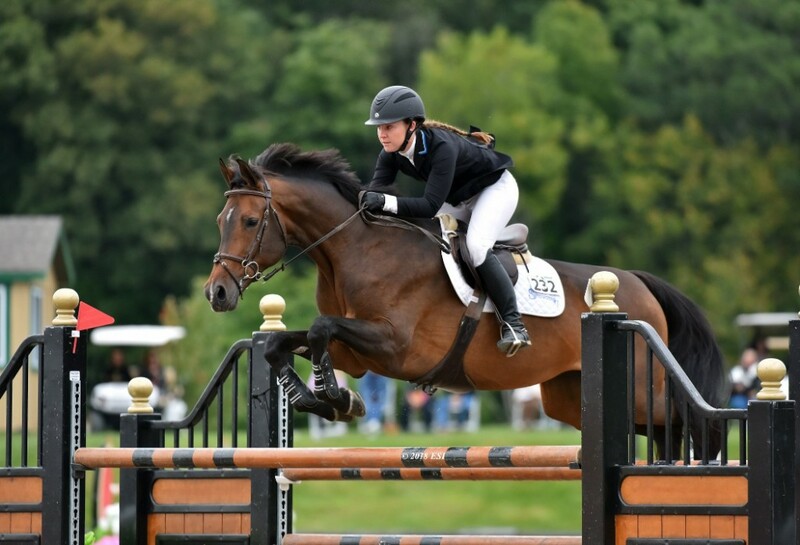 The 2018 edition of the "Richest Week in US Show Jumping" produced four new champions, including Kady Abrahamson, a full-time student and full-time equestrian and now the winner of the Black Barn $250,000 Junior/Amateur-Owner/Amateur Jumper Prix. 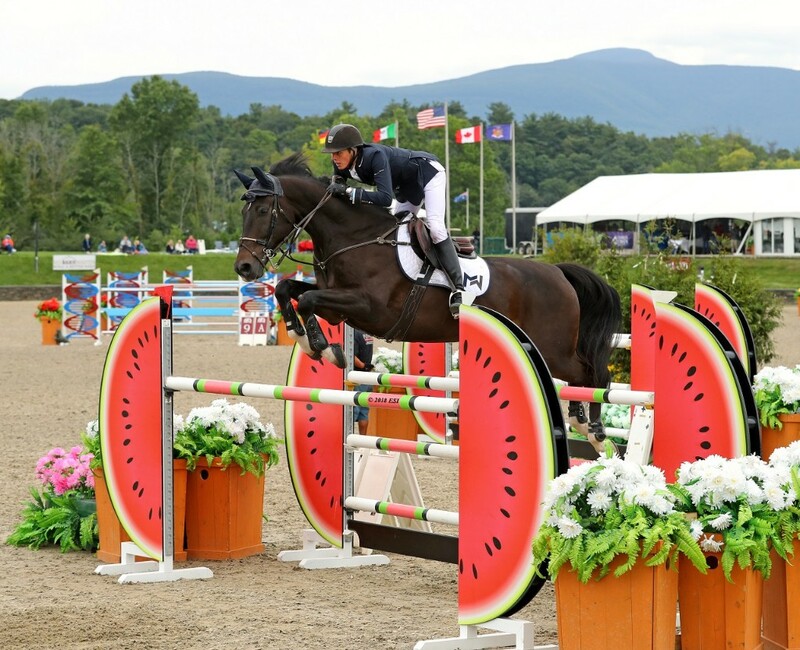 The Black Barn $250,000 Jumper Prix is held under a two-round format over two days. The top 25 riders from day one move on to day two, and the faults are added to determine the winners. In the case of a tie for first place, there is a jump-off, and this year, the jump-off was between Bryn Sadler and Kady Abrahamson, both of whom finished the first two rounds fault free. Abrahamson took the win after completing the jump-off in a fault-free time of 58.994. She credited the win to her mount, CHARLINE 28, a thirteen year old Mecklenburg mare. "I actually wanted to give her back when I first got her from Sharn Wordley, because as you can see she's a little crazy and definitely a chestnut mare. But he told me to figure her out and with the help of Scott Keach I've learned to take my time with her and now I love her," said Abrahamson. "The prize money is great, the staff is always very accommodating and friendly, and the horses love jumping at all of the HITS venues. What Tom is doing with Black Barn $250,000 Jumper Prix is really amazing. We are lucky to have a class like this to work towards and allow us to gain exposure to a championship format," she said when talking about HITS. Kady Abrahamson and CHARLINE 28. Sadler took the second place spot aboard BULL RUN'S LIVING after an eight-fault effort in the jump-off in a time of 53.214. The nine-year-old Zangersheide mare led the way into second place, and according to Sadler "really stepped up to the plate today." 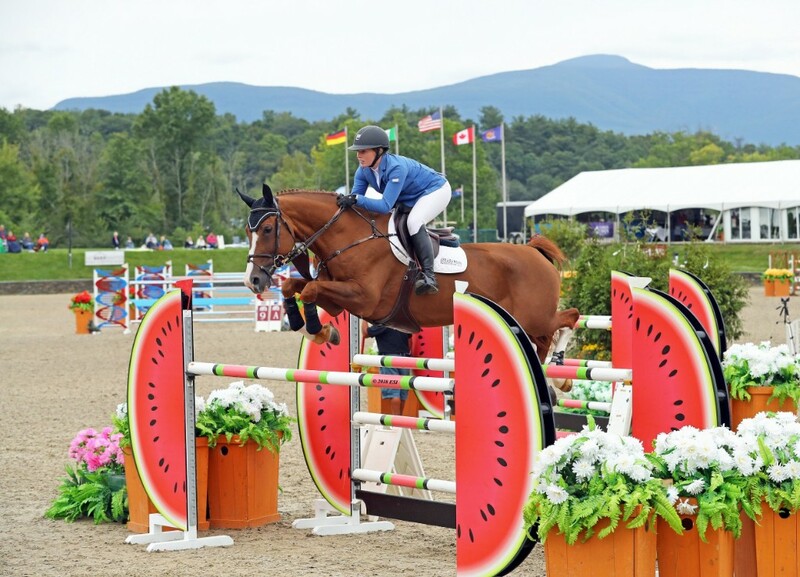 Brian Moggre, who won the $50,000 HITS Grand Prix at HITS-on-the-Hudson just a week ago took third place with MTM VIVRE LE REVE after a clear first round and a four fault second round. "My nerves got to me a little bit today, but my horse feels amazing and has a very bright future," said Moggre when asked about the nine-year-old gelding. "I have been coming to HITS for several years now and I am very grateful for the opportunity. The competition is tough, and the prize money is great. I look forward to coming to HITS for many years to come," he continued. Alexandra Pielet, who placed sixth in the class last year, finished in fourth this year aboard HELENE VE, and Julia Madigan had a strong showing for fifth place aboard FARFELU DU PRINTEMPS. Riders qualify for the Black Barn $250,000 Junior/Amateur-Owner/Amateur Jumper Prix by showing at HITS Shows throughout the year at HITS Ocala, HITS Coachella, HITS Arizona, HITS Chicago, HITS Saugerties, and HITS Culpeper. All three top finishers this year spend the winter at HITS Post Time Farm in Ocala, Florida and show at the other HITS properties throughout the year, making them extremely deserving of the prize money, blue ribbons, and cheers. Stay tuned for future HITS press releases featuring these three talented young riders. Top: Bryn Sadler and BULL RUN'S LIVING. Bottom: Brian Moggre and MTM VIVRE LE REVE. For more information on HITS Championship week and the richest week in show jumping, visit hitsshows.com or check us out on social media! Photos courtesy of ESI Photography.